Shopping for a new Chrysler Pacifica? Our pick in the Pacifica is the LX trim. The fold-away seats and included safety features make it a value and standard Apple CarPlay and Android Auto add entertainment and navigation features, so buyers may not miss the options in more expensive trim levels. The 2019 Chrysler Pacifica is proof that America still knows minivans. The jack-of-all-trades family hauler remains unchanged for 2019, which means it keeps all the things that made Best Car to Buy 2017. Offered in six trim levels, the 2019 Pacifica is offered in L, LX, Touring, Touring-L, Touring-L Plus, and Limited trim levels. An “S” appearance package is available that blacks out the trim and adds other cosmetic touches. The Pacifica is still a beacon of style and refinement amid a sea of bland family wagons. The cabin sports a comfortable and considered design with even the smallest details very deliberately placed. With the exception of the Pacifica Hybrid (we cover it elsewhere), a 287-horsepower V-6 and 9-speed automatic is the only powertrain available. It’s more than powerful enough to scoot the minivan down the road, and is matched by a smooth ride, responsive steering, and tidy chassis dynamics. The Pacifica is perfectly happy to handle short trips and long hauls, and its 22 mpg combined rating from the EPA means it won’t need a pit stop every few miles. Seating configurations in the Pacifica are unmatched in any other vehicle. Fold-away second- and third-row seats offer up multiple people- and stuff-hauling options, and the Pacifica is just wide enough to substitute for pickup truck duties in some cases. An IIHS Top Safety Pick in 2018, the Pacifica comes standard with blind-spot monitors and a rearview camera. Advanced safety features such as forward-collision warning with automatic emergency braking are optional on some trims. Base models are equipped with power features, Bluetooth, and touchscreen audio. 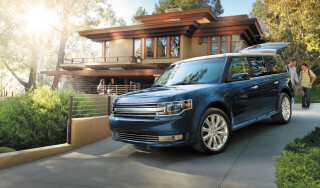 Top-of-the-line models include a panoramic sunroof, navigation, wi-fi hotspot, and an in-van vacuum that was smartly designed to reach every part of the interior—even parts of the vehicles parked nearby. 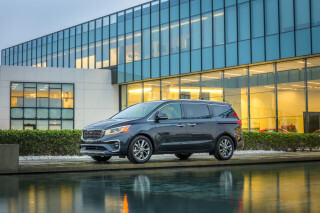 The 2019 Pacifica raises the bar for minivan style. Chrysler’s Batman-like logo is displayed prominently on the sleek front end, ahead of a smoothly shaped body. 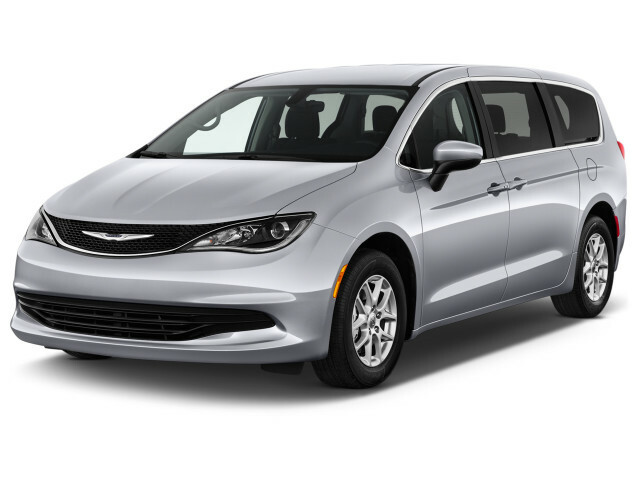 The Pacifica has embraced a minivan shape but updated it with curvy sheet metal and lots of glass. Its sliding door tracks are hidden beneath the rear windows, which makes for a cleaner profile. Chrysler has added some visual trickery that helps the Pacifica appear smaller than it is, with tucked-in front pillars and an uninterrupted back glass panel that shrink its silhouette. From the inside, the Pacifica is nicer than it has any business being. Chrysler’s attention to detail shines with small touches like metallic trim on the steering wheel and larger touches like the available swanky color schemes. The 2019 Pacifica meets the high bar that previous models set. The 3.6-liter V-6 that powers Pacifica models is lighter and more efficient than versions before it. With 287 horsepower turning the front wheels, the engine delivers smooth acceleration and plenty of punch. The Pacifica’s 9-speed auto is much smoother in its application than in other FCA vehicles, with less jerk from gear to gear. There is no direct control of the gears, but the rotary control dial does have an “L” position that assists in low-speed cornering and towing. 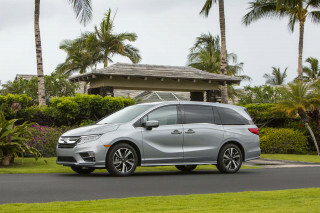 We noted the solid ride and handling that the Pacifica delivered when we first drove it and it still competes well against a much stronger field, though Honda’s newest Odyssey is edging in on its territory. The Pacifica’s front struts pair with rear trailing arms and electric power steering bring handling that feels much more sedan-like than minivan. Our 2017 Pacifica long-term tester handled nearly any road conditions we could throw at it during our long-term test, remaining composed and comfortable. Dialed-in steering helps minimize the impacts from poor road conditions. The Pacifica is surprisingly nimble, fun even, on curvy roads. We didn’t know we needed or even wanted this level of handling in a minivan, but we’ve been judging the class against the Pacifica’s benchmarks since our first drive. 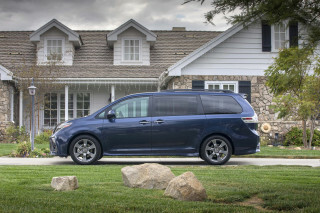 The Pacifica is more flexible and comfortable than any other minivan we’ve tested. The 121.6-inch wheelbase and 79.6-inch width may look big on paper, but the Pacifica has made use of every possible millimeter. With 197.3 cubic feet of interior space, 84 percent of that devoted just to people, the Pacifica is more than spacious. With second- and third-row seats folded down, the Pacifica’s cabin offers 140.5 cubic feet of cargo space, which translates into a pretty hefty trip to the home improvement store if you’re so inclined. Plentiful glass provides a wide-open view from the front seats. Passengers benefit from deep console bins, plentiful door storage, and more cubbies than anyone could make use of. Second row seats are well-padded and removable in eight-passenger versions of the Pacifica. While it’s true that Chrysler’s fold-away system, called Stow’n’Go robs the Pacifica of some second-row comfort, the added utility and ease of use more than make up for any missing plushness. The Pacifica’s third row is spacious enough for adults and adequately supportive, outdoing our other favorite family hauler, the Honda Pilot. Power-recline and power fold-away third-row seats are optional on some trims. On many models, passengers in the third row are spoiled with a wealth of USB ports and HDMI inputs for the available rear entertainment system. The 2019 Chrysler Pacifica is a safe pick for families. Crash scores for the 2019 Pacifica aren't yet complete but considering the van's similarity with last year's version, we can carry over those scores. With standard blind-spot monitors and rear parking sensors, the Pacifica is a true parking lot performer, and many trims add forward-collision warnings with automatic emergency braking, adaptive cruise control, and a surround-view camera system. The 2019 Pacifica’s features range from well-equipped to all-out bonkers. 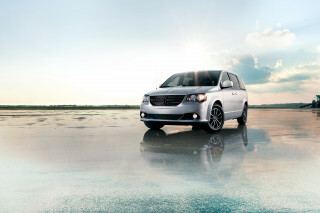 The Pacifica is offered in several trims: L base model, LX, Touring Plus, Touring-L, Touring-L Plus, and Limited. Base models come from the factory sporting a 7.0-inch touchscreen with Apple CarPlay and Android Auto, rearview camera, 17-inch wheels, blind-spot monitors, and rear parking sensors. Base models do not have fold-away second-row seating. Step all the way up to the Limited, and you’ll find power sliding side doors, power liftgate with hands-free control, panoramic sunroof, 18-inch wheels, cooled front seats, HD radio, navigation, Blu-ray entertainment with twin 10-inch screens and third-row USB, power third-row seat, and the in-van vacuum with long hose. 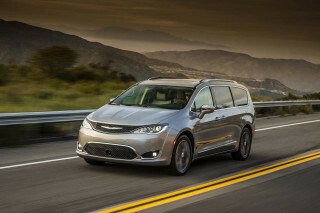 Chrysler offers a host of a la carte options for certain Pacifica models like a 20-speaker Harman Kardon audio system, a surround-view camera system, adaptive cruise control, forward-collision warnings with automatic emergency braking, and a tow package rated up to 3,600 pounds. Dealers can add on even more, from a first-aid kit to a pet kennel to wireless smartphone charging. An available “S” package in both standard and hybrid versions tricks the Pacifica with black wheels and exterior trim and special interior touches for around $600. The 2019 Pacifica is frugal, the Pacifica Hybrid does even better. The Pacifica is good for 18 mpg city, 28 highway, 22 combined, according to the EPA. These numbers are good enough to match Honda’s Odyssey and beat the Toyota Sienna. Chrysler has included stop/start tech and the 9-speed auto help squeeze the most out of the Pacifica’s V-6.